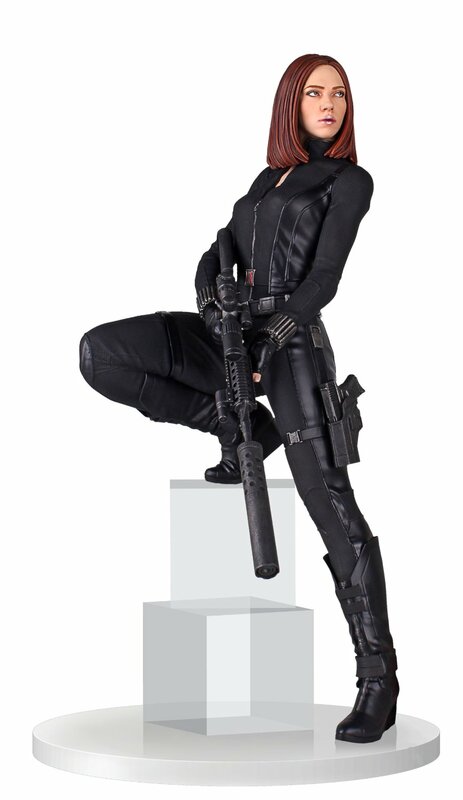 Gentle Giant presents a Black Widow statue based on Scarlett Johansson from the Captain America: The Winter Soldier film. This statue uses a digital scan of the actress herself! The statue stands 18" and is cast in high-quality polystone and hand-painted. It also comes with a certificate of authenticity. Available February 2015.